This power bank is incredibly useful as it supports the new super-fast USB-C standard and has a huge capacity, capable of charging 2 MacBooks or a MacBook and an iPad at the same time. 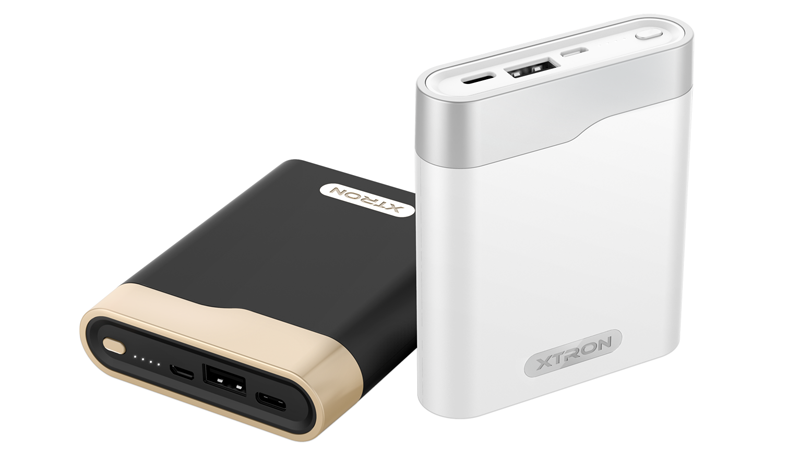 There is no LCD panel, nor does this model feature pass-through charging or include a torch, but the Maximas XTRON is one of the best large capacity power banks available with standard USB and USB-C outputs which means you can charge almost any device – including the new Apple laptop! The Maximas XTRON is compatible with the OnePlus 2, Xiaomi Mi 4C, Chromebook Pixel, Nokia N1 and of course the 2015 model MacBook. Using Li-Ion battery cells from Panasonic which should be good for 1200 recharge cycles and the 4.2A output is capable of fully charging an iPhone 6s six times or an iPad mini twice, this power bank is ideal for business or leisure travellers, in fact it’s suitable for anyone who has had a mobile device die on them just when they needed it the most! The large capacity 13400 mAh capacity give this charger the power necessary to charge up most laptops and notepads, not just Macbooks, but this unit does use the Type-C smart-control chips from Texas Instruments that can also be found in the new Apple MacBook from 2015 onwards. This means that just 3.5 hours of charging time via the XTRON will extend the new MacBook’s battery life by a full 8 hours. The Maximas XTRON is right now being launched through Indiegogo for funding. Expect the XTRON to hit UK stores in the very near future and likely cost around £65 retail in the UK.